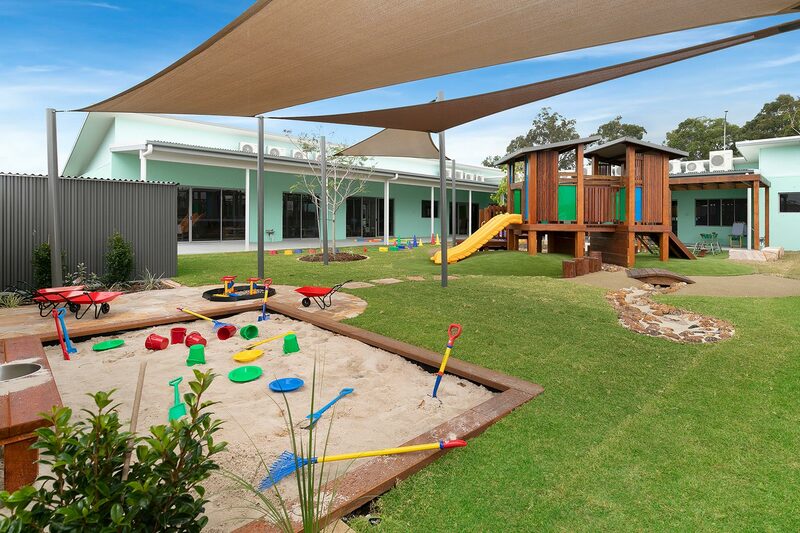 Jorgensens have completed many Child Care Centres on a complete design and build, turnkey package basis. We offer a personally designed service suited to your needs and budget. When entrusting you with their children, parents are becoming more particular about the services you provide, along with the quality and feel of a Day Care Centre. Leaders in the industry, we will work with you from an early design and approval stage to ensure your new centre will look and feel just as you want it to. An initial site visit will give us an understanding of the proposed land, its size and aspect, all of which will somewhat dictate the layout of your centre and the number of children it can accommodate. Consideration must also be made for the statutory requirements for the children’s external play areas, room sizes, shade areas, toilet / kitchen facilities and disabled access. You may also have specific requirements for inclusion and the desired architectural look of your centre at the concept design stage. The information you provide us with at this early stage will help build a comprehensive picture of your vision for the centre before presenting a design concept. Jorgensens team will then liaise with Council to ensure the Development, Operational works, Landscaping, Building and Plumbing approvals are obtained quickly and the final plan documentation takes into account any conditions placed by Council. Once the design and documentation of your Child Care Centre is complete, the estimation and quotation stage can begin. This will take into account your budget, finishes and time frame for completion. This will give us all the information required to provide you with a fixed price commercial building contract giving you the assurance your project will be completed on time and on budget. The professional and experienced team at Jorgensens will co-ordinate the construction of your new Child Care Centre through to completion. Our team of fully licensed, experienced and longstanding sub-contractors provide speed of construction and will ensure quality of finish is up to the Jorgensens standard. At handover we will walk through your new centre to ensure your needs and expectations are met. Our extensive experience allows us to provide you with helpful advice for the initial set-up and early stages of operating your new Child Care Facility. Jorgensens are the Child Care Centre Builders for many satisfied customers.